May 30, 2017 By This post may contain affiliate links. 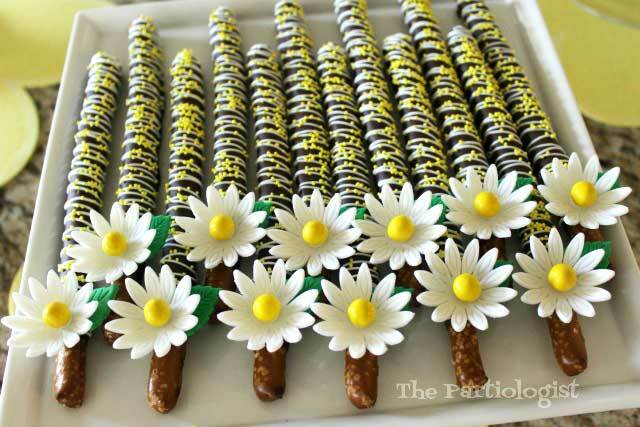 Beautifully decorated Daisy Topped Chocolate Pretzels make the perfect treat or favor for a springtime party. 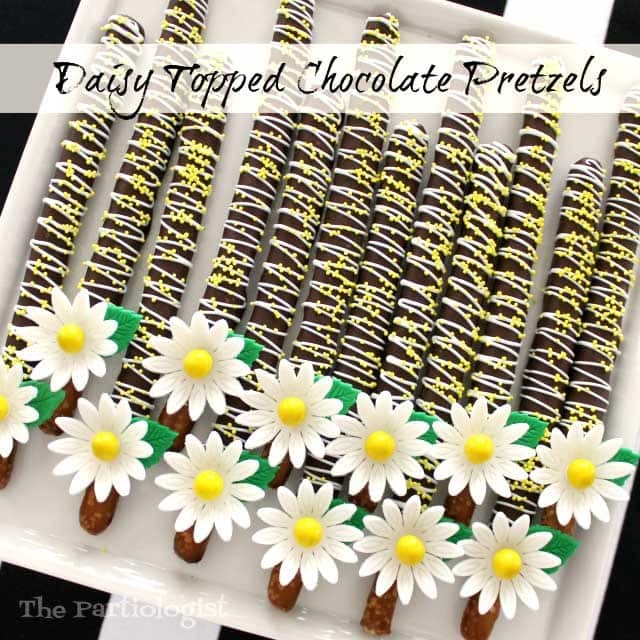 Each chocolate dipped pretzel rod is decorated with a drizzle of white chocolate and yellow sprinkles and is topped with a delicate daisy. Hi everyone! It’s Kim, The Partiologist sharing something fun and easy with all of the Hungry Happening readers. 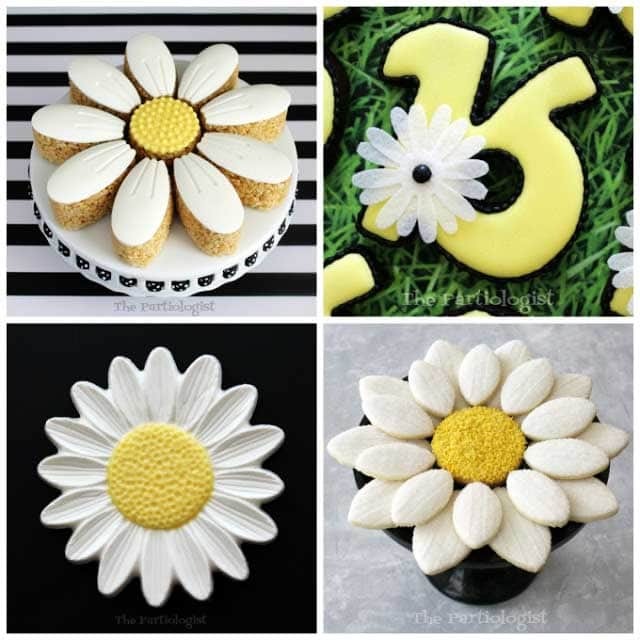 I recently hosted a sweet sixteen daisy themed party and turned everything imaginable into daisy themed treats. I’m excited to be here and show you how to turn ordinary pretzel rods into party pretzels. What pretzel doesn’t want to be dipped and decorated? Just be sure to plan ahead. You know, sometimes I get an idea in my mind and I don’t want to stop until it’s finished. In this case, I made the fondant flowers and wanted to dip and decorate the pretzels the same day. But I had to wait, let the flowers dry overnight in the flower former, so they would hold their shape. I learned to be patient, at least for this project. 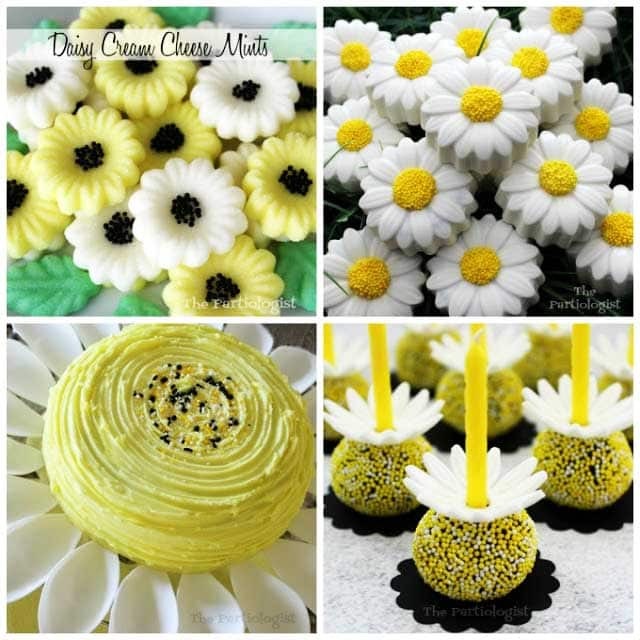 NOTE: If you make your daisies using Candy Clay (modeling chocolate) you won’t have to be too patient. They will dry in about an hour. After dipping the pretzels in chocolate and drizzling with white chocolate and yellow sprinkles, I’ll show you how to get to the finished product. 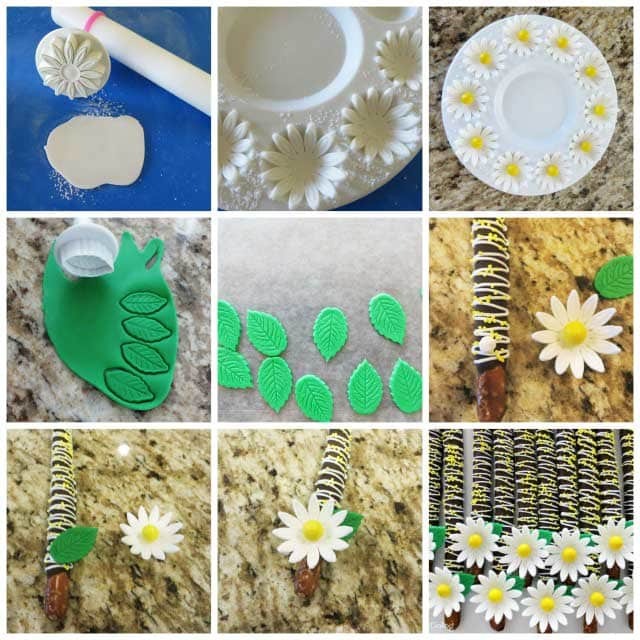 Press and cut with the daisy plunger cutter. Lightly dust a flower former with powdered sugar. Place the daisy in the tray, let dry overnight. 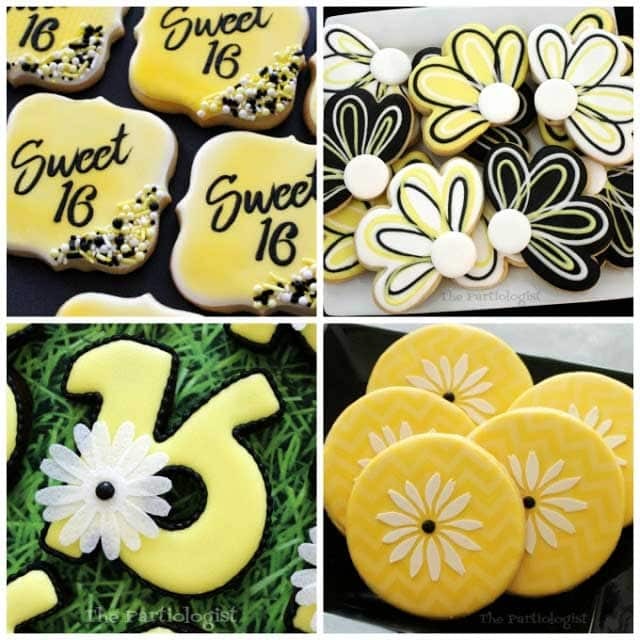 Add a drop of royal icing in the center and add a yellow Sixlet. Next roll and cut green fondant with a leaf plunger cutter, let dry overnight. After dipping the pretzel in chocolate, drizzle with white candy melts and sprinkle with yellow and white dragees. Add a drop of melted white chocolate to the end of the pretzel. Add the leaf, then add another dot of white chocolate and add the flower. Right now my blog is FULL of Daisy inspired sweet treats, but that isn’t all you’ll find. I would love for you to stop by The Partiologist, I look forward to seeing you! 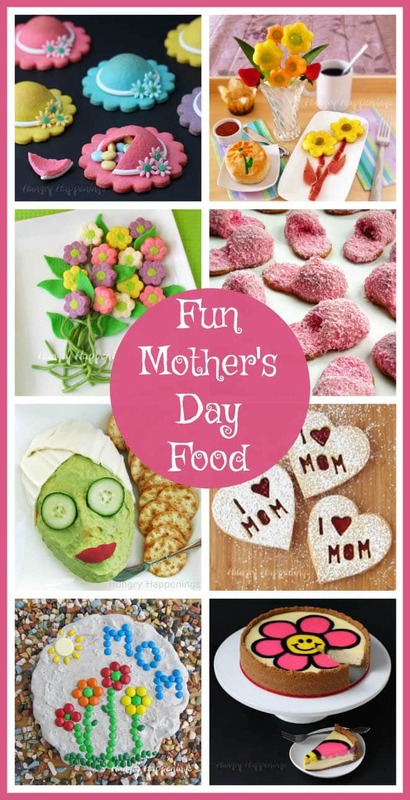 Thank you Beth for letting me be a part of your blog today! 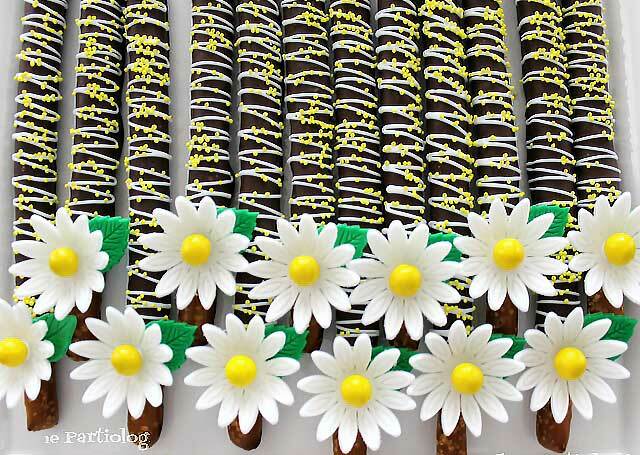 Be sure to check out these other daisy inspired treats! Love the idea <3 How adorable the pretzels are! Thank you for sharing the recipe and the daisy inspired treats! It will be great to make this treats with my kids.